2nd Batt. 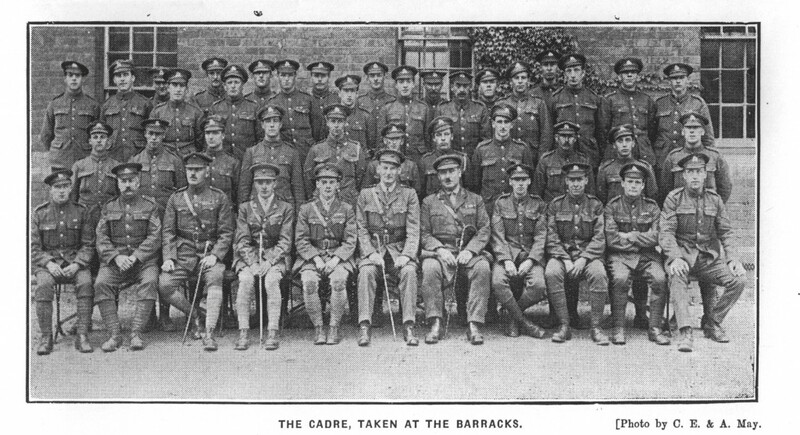 Royal Berkshire Regt. Lance Corporal William Marshall was considered by his friends to lead a charmed life and had many narrow escapes whilst doing service at the front. At the battle of Fromelles he was carrying two boxes of bullets when one of them was hit by a bullet. Writing to his mother in July 1915 he simply talks about the weather. “We are having very unsettled weather again, and we are in the trenches. We got wet through going on, and there was another wet night last knight. It makes everything a mess”. At the outbreak of war he was serving in India but went to France towards the end of 1914. This earned him the right to be called an “Old Contemptible”. 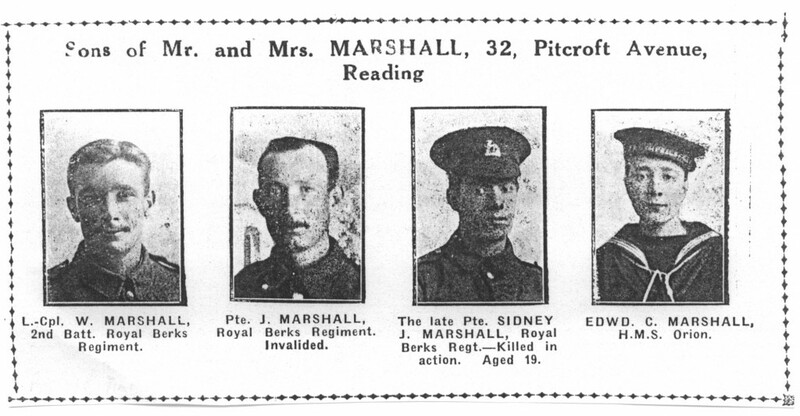 He was one of four sons, all of whom served with the forces, of Mr. Joseph and Mrs Mary Marshall of 32. Pitcroft Avenue, Reading. His father and older brother Joseph worked in the biscuit factory and William worked as a butcher before join the regular army. 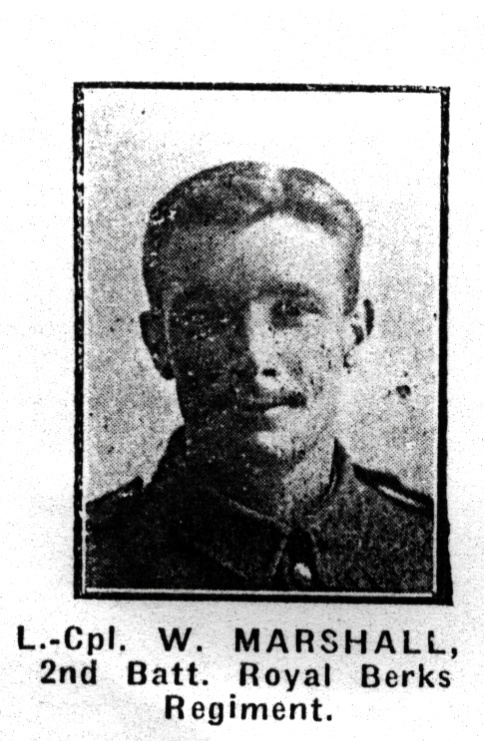 His brother Sidney, aged 19 years, was a machine gunner who was killed in action on Easter Monday 24/4/1916. William Marshall was awarded the Military Medal in 1916 for rescuing a machine gun. He served at the front for most of his time in France although eventually due to a problem with his foot he was given work behind the lines in Havre. In 1917 he married Christobel and they had six daughters and one son. In WWII son Ted served in the Army and William worked as an ARP warden. His daughter Marion said that her dad never spoke about his war service. When William died in 1963 aged 72 years he was given a military style funeral by the Old Contemptibles Association. He is buried with his wife and two daughters in the Reading Cemetery. 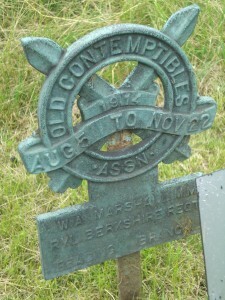 His grave is unmarked except for the marker of the “Old Contemptibles”. Captain Philip George Knightley death was announced in the Reading Std April 9th 1965. A Boer War Veteran and Old Contemptible who died in the Battle Hospital, Reading aged 88. The standards of the British Legion and the Old Contemptibles were flown at the funeral, both at the service in St. John’s Church, Watlington St., and at the Cemetery. Members of both organisations joined family mourners. Capt. Knightley, lived at 1 Watlington St. Reading, where he had a general provisions business. He joined the RAMC in 1894 and served in South Africa. He was the holder of both the Queen’s and King’s South African medals. During the First World War he fought on many battle fields and was mentioned in dispatches on three occasions. He also held long service and good conduct medals. He was commissioned in 1916 and was a Captain on his discharge in 1926 after completing 32 years service. He joined the British Legion and was appointed county secretary for Berks. in 1939. He held the position until failing eyesight forced him to retire in 1959. As well as being a life member of the Legion, Captain Knightley was awarded its gold badge. When he retired he was presented with a cheque for 100 guineas, the money having been subscribed by the 50 branches in the county. He was president of the Reading branch of the Old Contemptibles. Captain Knightley left a widow, two sons and a daughter, 12 grandchildren and 2 great grand children. Ernest William N. Ellis M.C. Ernest William Ellis is buried in Grave number 10929. 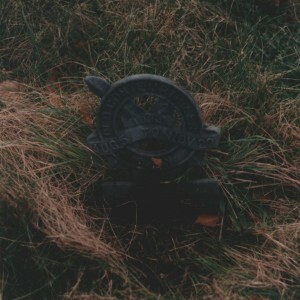 The grave is marked with the small cast iron marker of the “Old Contemptibles”. He was a member of the British regular army and served in France and Belgium from August 1914 to November 1914. 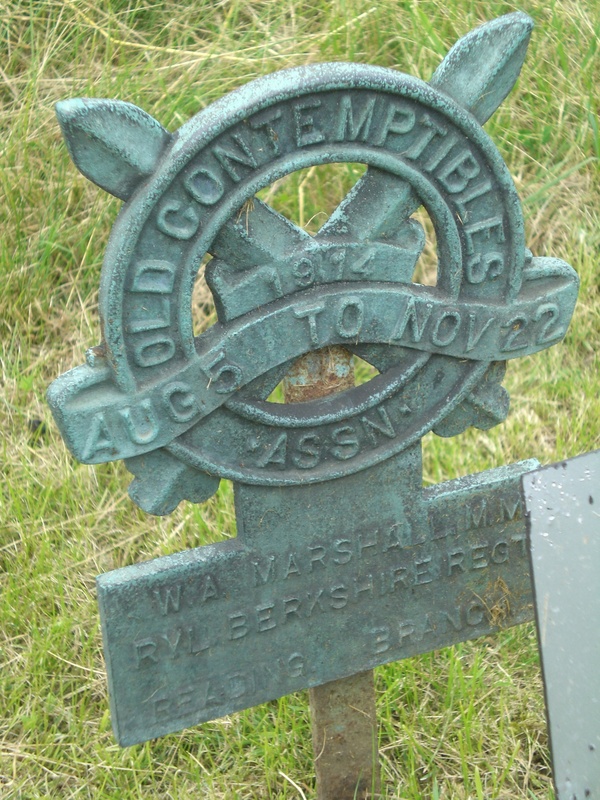 The marker states that he served with the Royal Field Artillery however, he returned home after the war serving with the Royal Berkshire Regiment. Ernest Ellis was given the Military Cross on 1st February 1919. It is believed that he received the medal whilst attached to the Royal Field Artillery as a gunner. The citation for his award is not yet known.